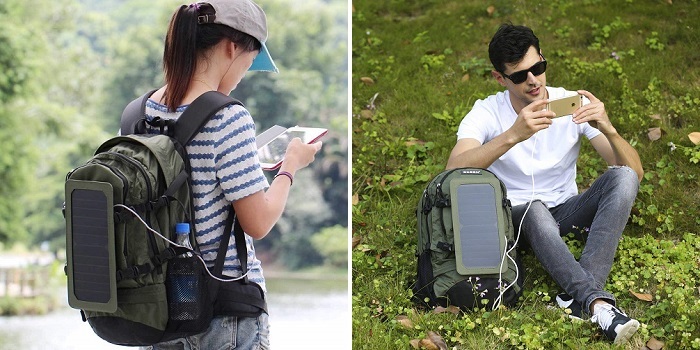 ECEEN 7W solar backpack allows you to charge your electronics (smartphones, tablets, GPS units, and laptops) while hiking, camping, backpacking, trekking, mountaineering, fishing, biking, long trail runs, etc. 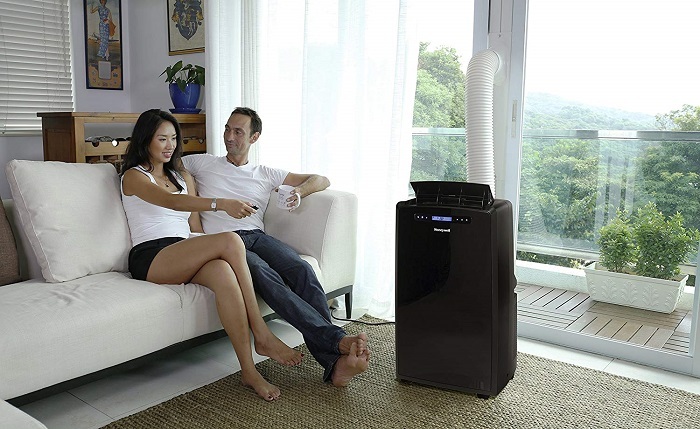 With it, you no longer need to buy a charger separately or look for a power outlet to recharge your gadget. A convenient way to charge your devices even when you are in the wild. The backpack comes with very lightweight material that allows air to pass through give you comfort. Its comfortable and adjustable mesh straps mean you will hardly notice this backpack on your back. The main compartment is larger fit 17-inch laptop easily while the internal and external pockets ensure your items stay organized. The solar panel is covered with an anti-scratch hardened coating making it extremely durable and water-resistant. The solar panels are also removable via a buckle, so it can also be used for a daily commute or strolling around the city. 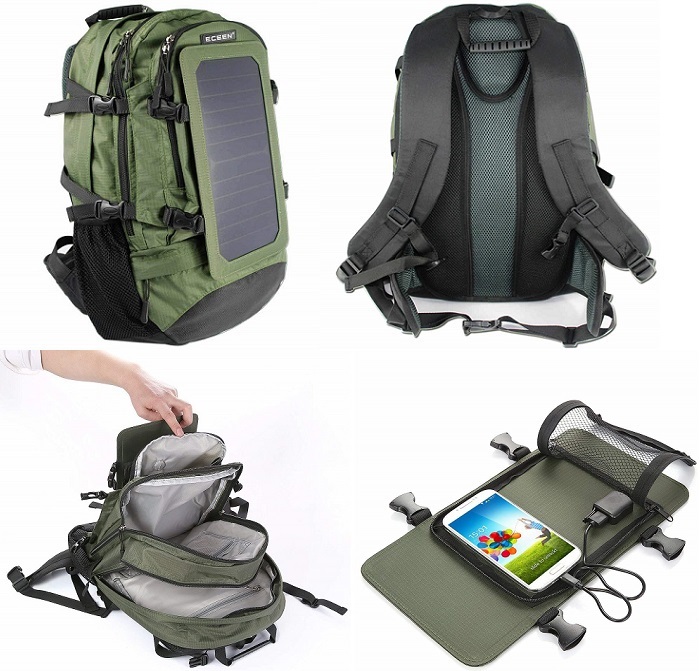 ECEEN 7W Solar Backpack comes in 4 colors: Green, Blue, Gray, and Red. The 7W solar panel captures more sunlight than conventional solar panels, which means it generates more electricity per panel. It provides enough power to charge your smartphone, tablet, e-readers, GoPro Camera, GPS, and Bluetooth speakers. • Comes with a 1.8L water bladder. • The zip compartment to hold your charging item very well. 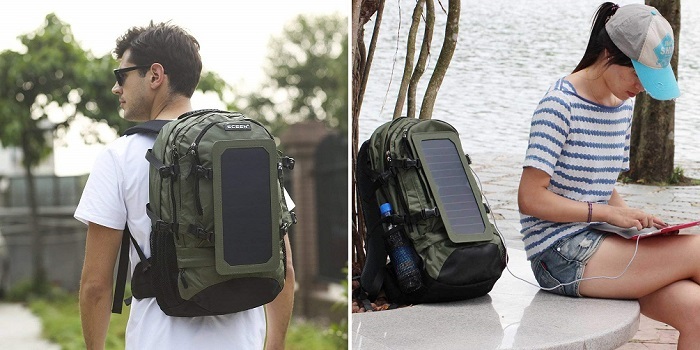 • Convenient clips make securing the solar panels to the backpack a snap. • Adjustable breathable straps make it easy and comfortable to carry for all day use. • The USB port is difficult to plug into. • The tiny flaps that holds the solar panels aren`t good enough. • The solar panel and the spot behind it can get very hot if it's a hot sunny day. • It comes with plenty of pockets & compartments for maps, documents and essential gear. • 7 watts high efficiency solar cells, with 22% transfer efficiency, are built into a protective anti-scratch hardened coating & sewn into high-wear PVC fabric for weather-resistant outdoor durability. • It's made from rip and water resistant fabric, and provides strength and long-lasting performance, with minimal weight. Stress points are reinforced with bar tacking for increased longevity. • Also include 1PC micro-USB cable. ECEEN 7W Solar Backpack is the best choice for backpackers, campers, travelers to students to carry stuff while recharging gadgets efficiently.